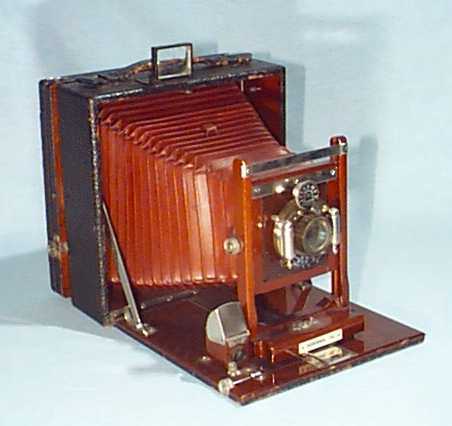 Notes: John M. Smyth Co. 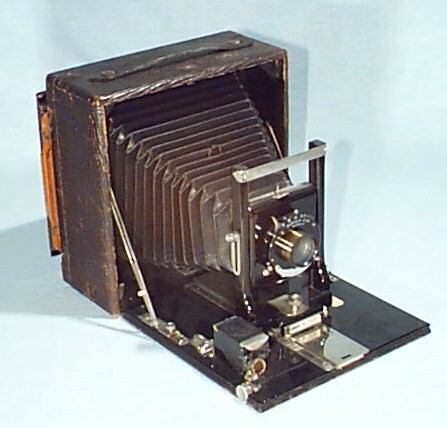 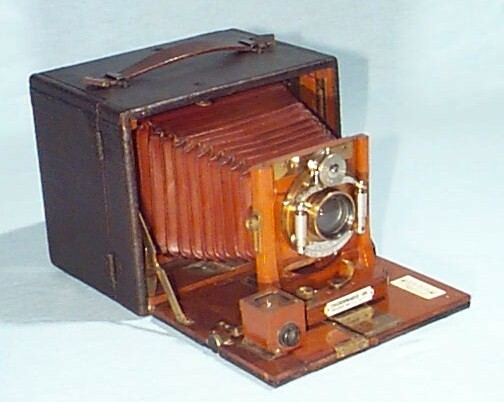 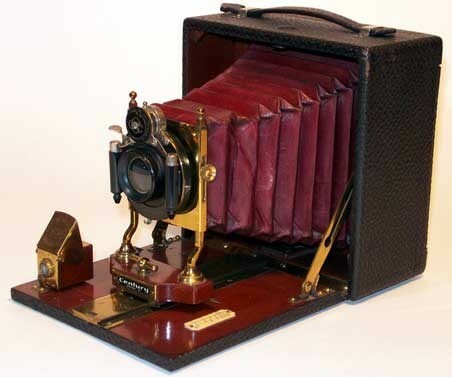 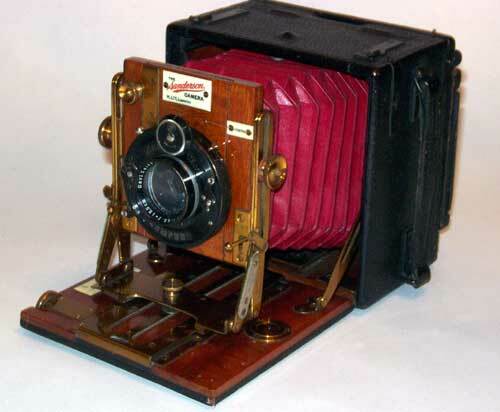 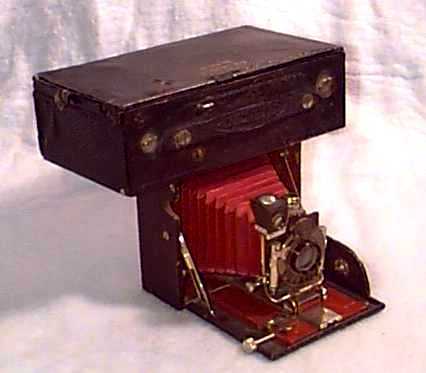 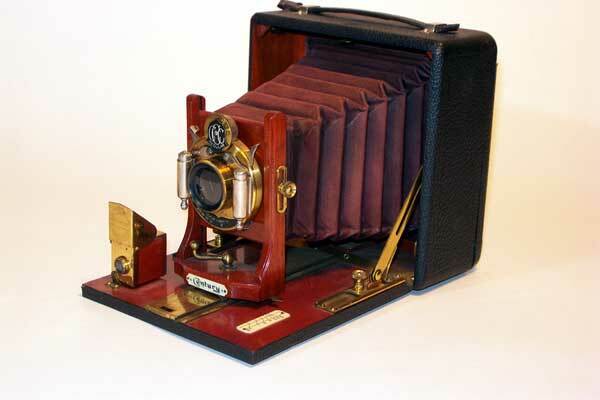 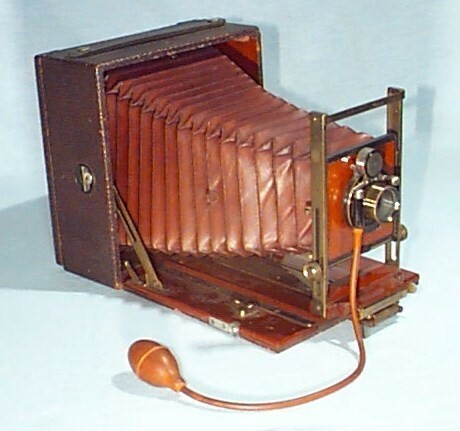 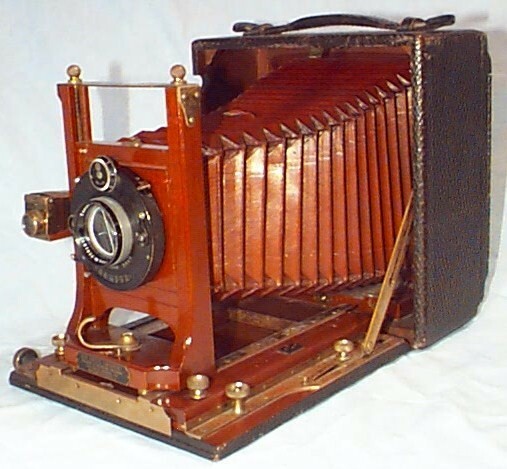 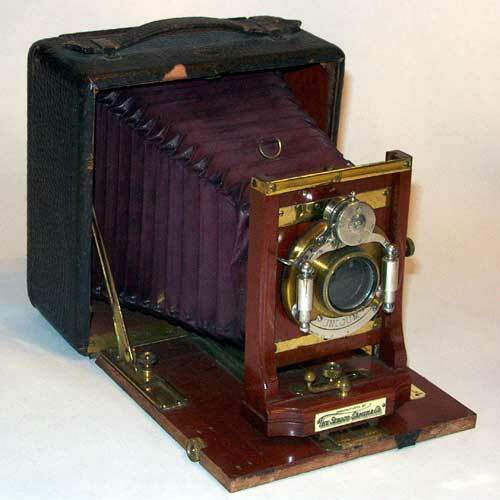 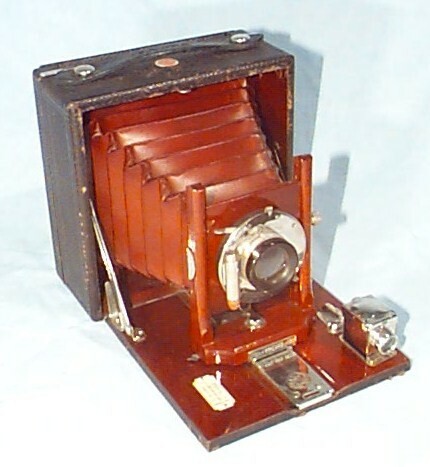 Lens: Bausch and Lomb Optical Co.
Notes: One of first cameras to provide ground glass focusing on roll film 1904-10; Film size 123 introduced with this camera. This example marked with owner's name -- "E. J. 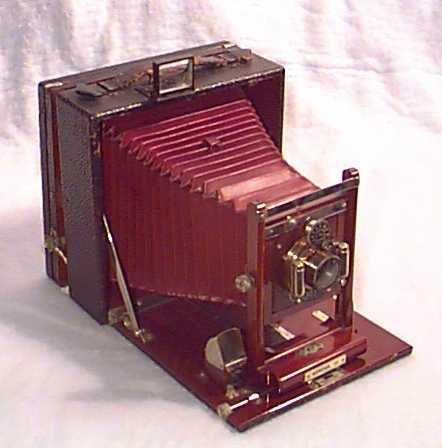 LAND, JR. 216 MAIN ST." Gold Stamped on back.